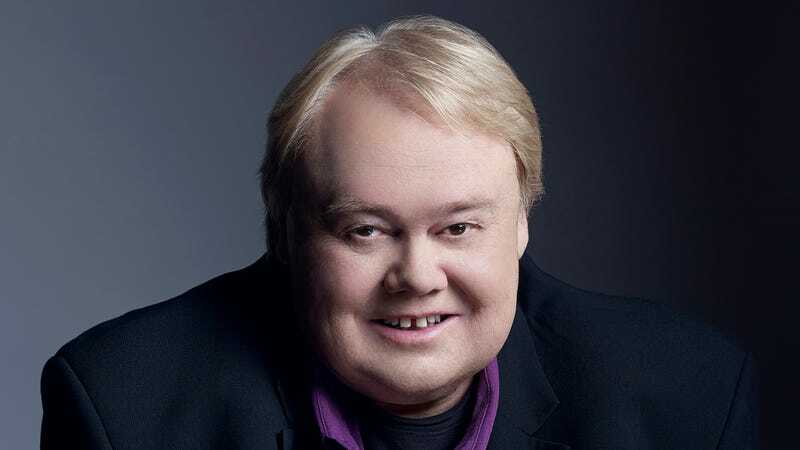 After years as a beloved stand-up, unsettling Saturday morning cartoon character, and occasional game show host, Louie Anderson is finally getting a little respect in the entertainment business. A lot of that has to do with his co-starring role on FX’s weirdly affecting clown dramedy Baskets, where Anderson commits so thoroughly to playing sad-eyed rodeo matriarch Christine Baskets that you frequently forget that you’re watching the Life With Louie guy in a dress. Now, Anderson is stretching out a bit into another well-regarded indie TV destination, with TBS confirming that he’ll appear on at least one episode of the next season of Search Party. It sounds like Anderson will be playing something of an outlier among the show’s cast of self-interested, mostly awful people, portraying “a sweet but extremely absentminded old-school lawyer from Chicago” helping some of the cast deal with their newfound status as famous public maybe-criminals. It sounds like a natural fit for Anderson, who can nail “warm, sentimental, and optimistic” with ease. Also, he’s super-forgetful and “maybe dying,” according to the press release, which should make writing him off the show after Anderson’s guest stint is over pretty easy to pull off, without anybody having to push anybody else off a ferry to do it.